Doors is opened by a chrome handle and secured with a 2-point locking system supplied with 2 keys for convenience. Has perforated height adjustable shelf trays to allow spillages to drain into a liquid tight sump tray. 80mm deep removable sump tray will contain any spillage. 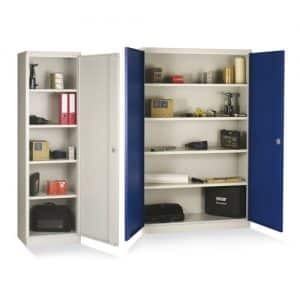 We have a great range of cupboards and lockers so that you can keep your items clean and tidy. 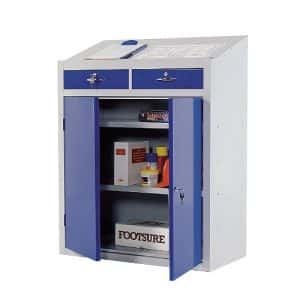 Our steel tool cupboard, for example has two shelves for storing things easily and a door that can lock. The steel workshop dispatch desk has double doors which lock and two shelves in the cupboards. 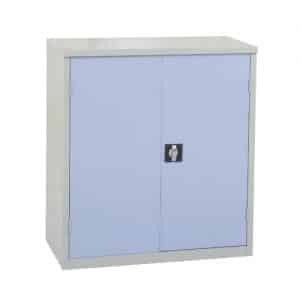 Above it is a pair of side by side lockable drawers and the top is sloping and can be used for writing on. 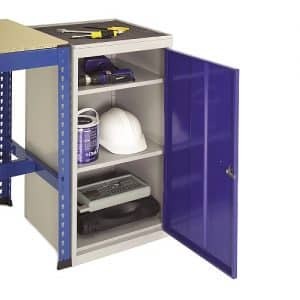 We have economy steel storage cupboards which have double doors that lock and four shelves so you have plenty of space to keep things safe and secure. 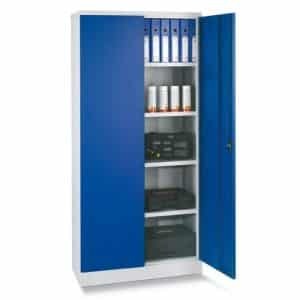 Alternatively you can get self-assembly cupboards which also have four shelves and lockable double doors. 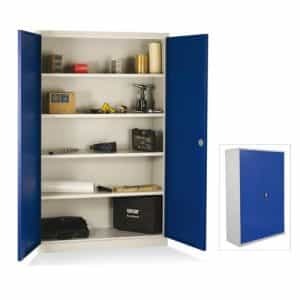 We have a Tambour range as well with the option of a Tambour full height cupboards as well as a half height cupboard, depending on your needs and the space that you have available. If you have lots of space then you may be interested in the Industrial tall cupboards and the extra wide industrial cupboards. These have four shelves and double doors for easy storage and access. 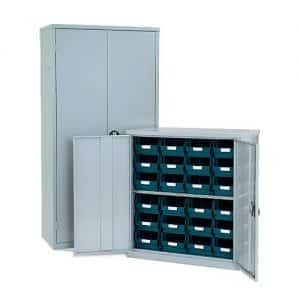 You can also purchase Industrial low cupboards if you do not need such a tall one. 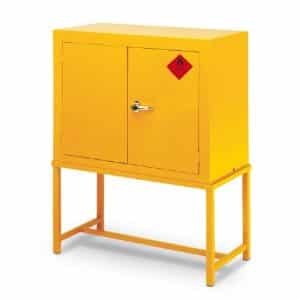 If you need it we also have hazardous substance cupboards in 915h x 459w x 459d, 915h x 915w x 459d, 712h x 355w x 305d, 1830h x 915w x 459d and 712h x 915w x 459d. These are bright yellow with the red sticker on to show they contain hazardous substances. 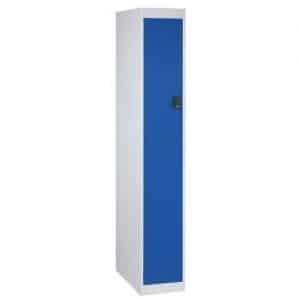 You can also purchase lockers. 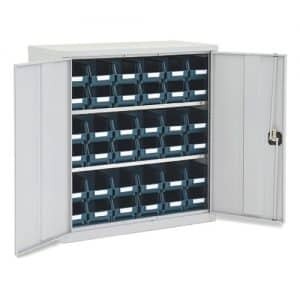 There are commercial lockers which are a stack of 6 lockers and cube lockers which are individual and stackable so you can get as many as you need. These are great for keeping items secure as they all have locks.